For most of these covers I like how they look (An Affair with Mr. Kennedy, Firelight, Yours Until Dawn, Across the Universe, The Memory of Water), others I liked what they had to say about the story within (Darkly Dreaming Dexter, The Time Traveler's Wife, Cinder, Beyond Heaving Bosoms), but with The Taming of the Duke, there is a story. I literally started reading Eloisa James because those abs on the cover above were haunting my dreams. Every time I passed by the book in Wal*Mart or Borders I would just stare. Literally stop, pick the book up, put it back down... rinse repeat. Finally I gave in to their pull (what was taming those abs? Must be one powerful woman! ), devoured the book even though it was the third in the series, and as I made by way through her backlist, Ms. James became one of my favorite authors. So link up your favorites! Let's enjoy the pretty covers. shall we? I have Across The Universe on my list as well :) It's so beautiful. I also loved that it was reversible, too! That is totally true! I think the pull of the original was why I chose this one. I was super excited when both Firelight and Moonglow were nominated for RITAs this year. I absolutely love the cover for Cinder, but I haven't read it yet so it can't make my list! Ah! You need to! It is such an inventive story with such unique ways of weaving in pieces of the original fairy tales. I loved it and Scarlet, its sequel. I do love Cinder's cover and The Time Traveler's Wife is great as well. So much pretty. I am always drawn to that Cinder cover, but still haven't read it yet!!! I love your story. I have never had that expirience, but a cover that leads to discovering a favorite author is doing things exactly right. I know! And to be honest, it's not the best romance novel cover. But something about the model and the way it kind of reinforces the title, in a sea of backless dressed women or headless heroes, just made me stop and keep coming back. As a broke freshman at the time, it was serious business for me to buy books. Especially for me to take a gamble on a new author! I am so glad it worked out for me! I love your list! I also have My Name is Memory on my list, and almost added The Time Traveler's Wife as well! It is such a pretty cover with all the sparkles and watery like imagery. For some reason it also just evokes the word "Memory" for me, too. What I love about Cinder's cover is its originality. The first time I saw it it kind of scared me a little, haha. Ahh I really like The Time Traveler's Wife and My Name is Memory. I might have to read My Name is Memory now. :) Thanks for these lists. They are fantastic! I love your choices. I forgot about The Time Traveler's Wife. That is a great cover! I picked Cinder, too. Across the Universe made my list! I was totally about to put Cinder and Across the Universe on mine, but then I remembered that I haven't actually read them yet. They're staring at me from my shelf, though, so soon! Cinder's cover is beautiful! I love Scarlet's cover too. Great list! Yes I did really like the Across the Universe cover. And I've grown to like the Cinder cover but it was a total turn off for me at first. Cinder made my list too. Love that cover! I love the Firelight cover, but I haven't read that yet! Ooo yes, across the universe is a gorgeous one! Completely different from my list though! Welcome to the crazy! It's such fun to see everyone's lists every Tuesday! Cinder never really scared me, just made me want to read it! And I totally agree on Callihan's covers. They are gorgeous and really depict the mood of each character. Winterblaze was interesting since we already know Poppy and Win. I really liked it though! I think I reviewed it here somewhere lol. Ha. Thanks. It's a completely true story. :D I almost had to go to a support group: "Haunted by Abs Anonymous"
Cinder :D That's also on mine! It's beautiful. I forgot about cinder.. Your list all have eye catching cover. I have Across the Universe and very nearly added Cinder. 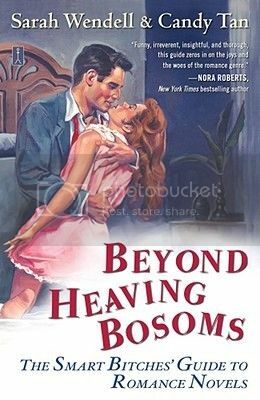 Lol, the cover of Beyond Heaving Bosoms and the title are fab! Beyond Heaving Bosoms is a fun book with tons of cool information about the genre of romance. I actually just picked it up for a reread, so the cover, and it's awesomeness were near to mind. Cinder is on my list too. This was a tough week - so many covers to choose from! Dexter! I haven't read the books, but am a fan of the show and that cover is completely perfect! Isn't it. though? 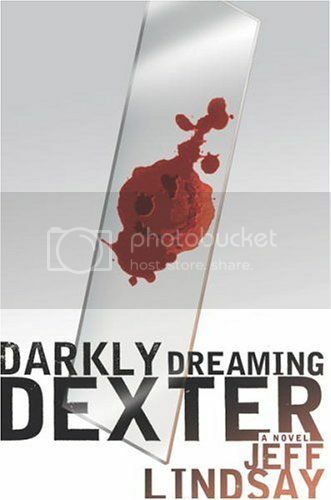 I read Darkly Dreaming Dexter before it was even a show because I saw it on the new books shelf and it looked interesting. Another eye catching cover that makes you think "Huh. Why is this blood sample smiling at me? Let's read the summary!" Turned out for the best. I didn't make it all the way through the series (or the tv show for that matter), but book 1 was great! 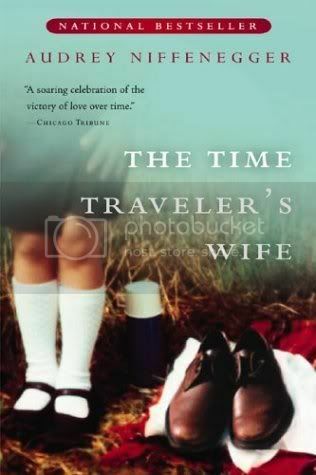 I love the cover for The Time Traveler's Wife- those empty shoes!!! I'm a new follower and I'm so glad I found you. What a wonderful meme. I'm hoping to participate next week. :) I haven't read any of these but a couple I'll be looking into further. Loved the list! I just uploaded mine too. I really like the cover of Cinder although I haven't read it yet - usually a cover will totally sell me on a book - and that's a great one! I love the cover of Cinder, it's on my TBR just because the cover is so wonderful! I totally agree with you about Cinder. I haven't read the book, but it's a gorgeous cover. The CINDER cover is a weird one for me. It's actually the thing that put me off reading the book for so long. It looks too sci-fi for me, although it's an accurate portrayal of the novel. Weird. Cinder is on my list, too! My Name is Memory's cover is really pretty! I may have been a bit rebellious this week, but it was so much fun! I love the covers of Across the Universe and Cinder. I still need to read both. This was a fun topic this week, but soooo hard to narrow down to 10. Happy reading! Cinder is on my list, too! The My Name is Memory cover is really pretty! I almost put the Time Traveler's Wife on my list... And the cover for Across the Universe is beautiful! It's fun when we can find new authors just because of the cover art draws us in so much. I really wanted to read Cinder because of the cover! Across the Universe is a great cover, too, but I haven't read it yet. Great list! Love this week's topic! I could stare at book covers all day! I can't believe I forgot about Across the Universe! That's one of my all-time favorite covers, too. Love your story about Taming of the Duke! Talk about powerful abs, LOL. But I'm glad they led you to Eloisa James. She is all kinds of fabulous! The cover of Across The Universe made my list too. 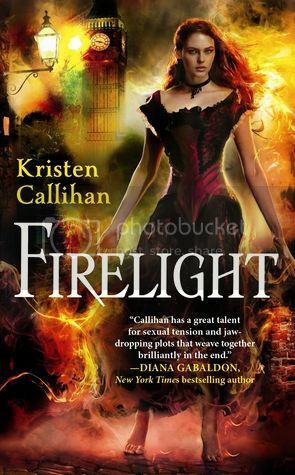 I love the cover of Firelight. I need to read that one. I totally did the same thing! Opened up GoodReads and went to cover view, then chose the best! Yeah, it felt like the easiest way! I've been logging at GR since about 2008 so I had a good chunk to chose from (plus any that I back dated), but still I felt like I could have looked forever at all the pretty covers. I love My Name Is Memory's cover! and Time Traveler's Wife. Happy Tuesday! I love the cover of The Time Traveler's Wife, it's just so... innocent. 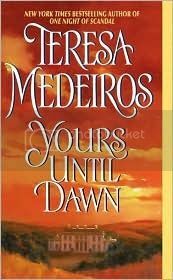 And I can't wait to read this one. Time Traveler's Wife is tied as my all time favorite book. It's a great read. 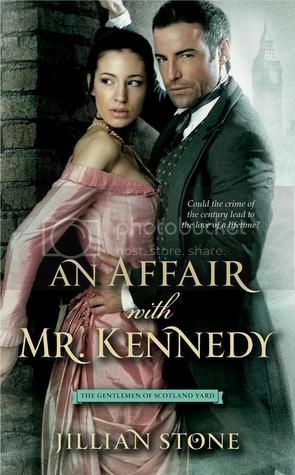 Wow, I love the cover of An Affair with Mr. Kennedy (will have to check that one out) and the Firelight covers are all gorgeous. Great picks! It's just so not what you normally see in romance novels. Like, how often do you see the entire body of BOTH leads, and not just their back/headless torso/chest. It was a fun book. Took a bit to get into at first but I enjoyed it. Especially since it was a non-titled Victorian romance. Going to start doing these. What a great idea! You made some great choices I forgot--and one I didn't, Cinder. It's a great cover! My absolute favorites are the books that make an unusual choice, like the translucent dust jacket on 1Q84 or the pierced one on The Fifty Year Sword. Ooh! I love gorgeous (or interesting) covers! I can't wait to see what everyone chose! Cinder made my list, too! The cover for Beth Revis's Across the Universe is gorgeous! Cinder trilogy has beautiful covers! Such pretty covers! Ooh, I forgot how much I liked the original Across the Universe cover--it's too bad they couldn't finish the whole series before redesigning them. I agree that the cover for Cinder is great! This one was hard, but it made me look at some old covers I'd forgotten about so that's a good thing! 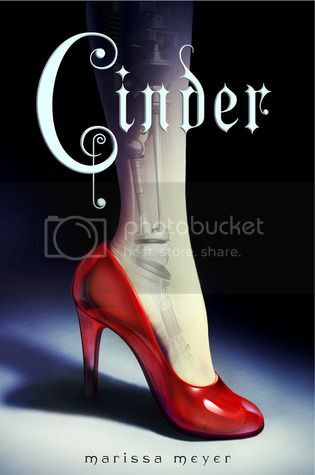 I lvoe the cover for Cinder! It would have made my list but I was trying my best to keep it to Ten(ISH). :) LOVE this week's topic! I'm a huge fan of the Cinder cover as well. It's simple, but elegant and kind of romantic, but a little strange. 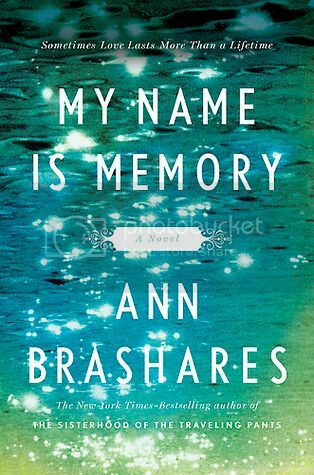 My Name is Memory is also one of my favourite covers, but I didn't add it because I haven't read it yet. But I absolutely love it. The Time Traveler's Wife was one that caught my eye, although it didn't make my final list because there were others I liked more. It's a great cover, though! That awkward moment when I realized I forgot to link my Top Ten Tuesday when it's Thursday XD I absolutely adore Across the Universe's cover; it would have been on my list if I'd read it yet. Looking forward to the next TTT! I could really get the hang of this. Across The Universe definitely would've made my list. One of the few books I picked up because of the cover. 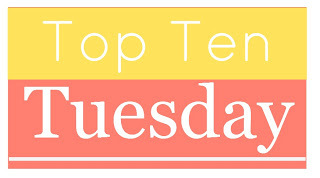 We are excited to be apart of the next Top Ten Tuesday!